Last week I, quite spontaneously, decided to participate in the Novel in a Day project. It’s quite an interesting project, which I learned about only a few days before signing up. The inventor and host of the project, whose username is pigfender, plans and outlines a novel of whatever genre he pleases, and then the people who sign up are assigned one chapter each. On the day of the project, you receive an instruction bundle with a chapter brief, maybe a couple of character profiles and other random info, and instructions on where to stop and start. You then have less than 24h (between midnight and 8pm GMT) to write and submit your chapter. Then pigfender compiles the chapters and put them up for people to download and read for free on his website. Section 7, the 2014 NiaD book. 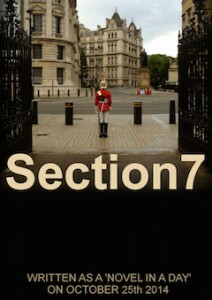 This year’s NiaD book is called Section7 and can be downloaded (for free) here. Since there were so many participants this year there are actually two versions of the book, one blue and one red. My chapter is chapter 20 in the red version. So, what did I learn from participating in NiaD? Well, for one, I learned that I can write fiction according to someone else’s instructions. That’s not actually something I knew before. I mean, I work with writing prompts sometimes and have of course done creative writing exercises in school as well as in my free time, but I’ve never written anything before where my instructions were this detailed. I’ve always had this idea that I couldn’t do that, that I need the world I write in to be “mine” in order to write. Apparently, that’s not true. I mean, I still prefer writing in my own worlds, but apparently I can write in other worlds too. That’s good to know. I’m not saying the chapter I wrote was particularly good, but it was all right and considering I spent maybe 2.5h on it (including proofreading) I think that’s good enough. I actually think I learned more from reading the book than from writing my chapter. I read the red version, that my chapter is in, and the chapter corresponding to mine in the blue version (though not the whole book). It was interesting to see how small (or large) variations in style, tone, pacing, characterization of individuals or relationships, emotions depicted etc made such a huge difference. Some chapters made me go “hmmm, interesting”, others “oh wow, great idea” and a rare few “oh no, you went there with it?”. When you have a lot of writers and writing-related professionals on your Twitter-list, you often hear things like “many people can write books, but only you can write your book”. I always sort of nodded in vague agreement with that before, but participating in this project really drove that point home for me. It really was like reading 24 different books on the same theme, all mashed together. (Or 25 if you count the chapter I read from the blue version). I wasn’t expecting it to seem like it was written by the same person, but I wasn’t expecting the differences to be that stark. That was a really interesting observation! So, will I participate in NiaD next year? I don’t know! If I’m free that day I might, but I might not. Either way I really enjoyed the experience. This entry was posted in On Writing, Prose and tagged collaborative writing, literature and latte, niad, novel in a day by Emma Lindhagen. Bookmark the permalink. I’m really keen to read this book now! I might have a read over the summer holiday. Thanks for sharing your experience. It’s such a unique one, and it’s clear you learnt a lot from it. Hah, for a moment there I went “the summer holiday. Talk about planning ahead!”. The seasons thing still throws me for a loop at times! It was an interesting read, I think it says a lot about the different ways people approach the same concept. Some added loads of detail, others like me were very cautious about adding things that might create discrepancies. People went in all sorts of different directions with the MC’s personality etc. 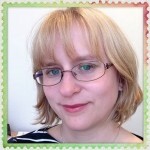 ← Previous Previous post: Twice Fortnightly – What a Week! Next → Next post: Announcement – Going Home Release Date!